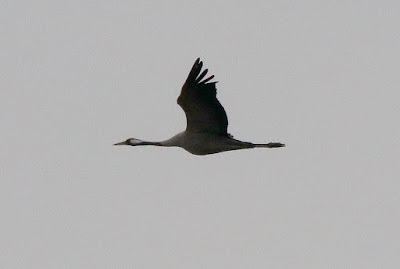 Another quiet day was enlivened in the early afternoon by a Crane which circled over the peninsula before eventually heading north. Other migrants were pretty scarce with just five Swifts, 44 Swallows, two Yellow Wagtails and a Tree Pipit of note. Seawatching was also poor but an adult Roseate Tern and a Black Tern joined the regular Iceland Gull at the Patch. 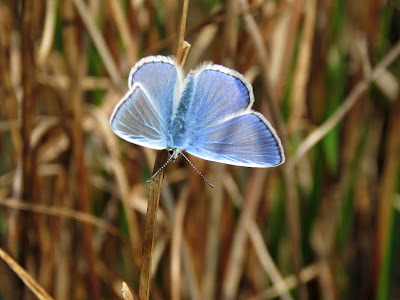 The first Common Blue of the year was seen.